In an exclusive interview with WTR, David Kappos, director of the US Patent and Trademark Office (USPTO), explains how the Trademarks Next Generation project is being approached and takes issue with the suggestion that trademarks are not receiving the attention they deserve from the agency. At first glance, the recent ECJ decision on Google keywords clarifies the European position, but dig deeper and uncertainty remains – mirroring the position in the United States. When it comes to transliterating a brand to suit the Chinese market, the first step is to forget all you know about how language works in the West. Get this process wrong and your trademark will be open to attack. WTR takes a look at the blockbuster of the trademark calendar: the annual meeting of the International Trademark Association, held this spring in Boston. Changes to the domain space have prompted speculation about the potential threat to brand owners, yet many have still to review their domain name strategies to reflect the new online landscape. So where should they begin? While trademark counsel rarely have the opportunity to take to the streets, valuable insights can be gained from the frontline experiences of investigators – including the need to respect and understand your enemy. Sports brands must contend with myriad challenges posed by their opponents, counterfeiters and infringers. A sound defence and tough offence are the keys to prevailing over these inventive opponents. On May 25 2010, WTR announced the winners of its fourth Industry Awards at an exclusive ceremony in Boston’s Harvard Club. The awards are designed to recognize the vital work carried out by in-house trademark counsel, and identify the teams and individuals that are performing their functions to the highest possible standards. Over the following pages we speak to the winners and explain why they were judged to be leading examples of industry best practice. Although hard data on Chinese trademark trials is like gold dust, WTR has uncovered a set of statistics that sheds new light on China’s evolving trademark litigation landscape. Having transliterated your brand and company names, the next step involves properly protecting them both to counter the risk of infringement. Trademark counsel rarely have the time and resources to contribute fully to decisions on corporate acquisition activities. But to provide expert, effective, transaction-specific trademark due diligence, several issues should be considered. The controller general of the Indian Intellectual Property Office (IPO), P H Kurian, has moved to quash rumours that the trademark function is set to be removed from the jurisdiction of the IPO. Klaus-Heiner Lehne, a member of the European Parliament, has stated that use of a Community trademark (CTM) in one member state equals use in the Community, adding that the legislative body will ensure that any reform of the European trademark system does not weaken the system. Victoria Espinel, the US IP enforcement coordinator, has unveiled the administration’s first joint strategic plan to combat IP theft. The strategy contains more than 30 concrete recommendations to fulfil the promise of helping and listening to “victims” (clarified as rights holders) of IP infringement, as well as raising the prospect of a full review of IP laws. The UK Court of Appeal has followed last year’s Court of Justice of the European Union (ECJ) ruling in L’Oréal v Bellure, which stated that unfair advantage does not require a likelihood of confusion or detriment to the mark. However, Lord Justice Jacob made it clear he was not happy about having to “muzzle” commercial free speech, a move that he argued “amounts to a pointless monopoly”. Taking the lead on cybersquatting? Utah’s new E-commerce Integrity Act is groundbreaking, but how enforceable will it be and will it have a wider impact? With time running out to influence the scope of ACTA, is it now too late to make substantive changes? Trademark infringement – is there an app for that? The launch of the Apple iPad increases the need for software developers to walk the fine line between policing marks and allowing nominative use. A combination of trademark and design registration is necessary to ensure that products and their packaging obtain the maximum protection in Israel. This year saw judgment in one of the first cases dealing with the collision of industrial design rights and 3D trademarks. Different approaches are available for protecting design and trade dress, depending on how established the product is in the Chinese market. While there is extensive case law protecting trade dress under the Unfair Competition Law, protection under trademark or industrial design law should be sought where possible. Whether obtaining protection for 3D trademarks and designs or utilizing unfair competition laws, a range of protections are available to mark owners in Italy. With no specific legal concept of trade dress, brand owners must choose from a range of legal protections on a case-by-case basis. While there is no legal definition of ‘trade dress’ in Spain, protection can still be obtained through other legal avenues. 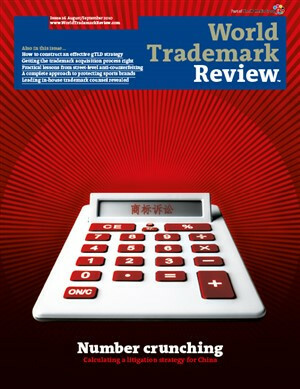 An understanding of the relationship between trademark and design law is essential to protecting trade dress in India. A mixture of trademark and industrial design protection schemes can provide immediate protection for trade dress. The lack of any specific protection for trade dress makes the accumulation of protection through different types of IP right crucial.